Vantastic Man - Removals/Storage based in West Molesey, Surrey. Invoice history based on 349 reviews. Vantastic Man is a family-run removals business operating in London and Surrey for over five years. We know how difficult it can be to find a reliable, friendly and cost effective removals service so we keep it simple and focus on those three key points. Whether you're moving from a single room, a fifth floor flat or a large house we can provide you with the staff and services to make your move as smooth as possible. All of our team are fully trained, experienced movers and just as importantly they are the kind of people we would trust with our own belongings. We can help with every aspect of your move, including packing, furniture assembly/dismantling and of course the move itself. We are more than happy to do a free survey, so just let us know what your requirements are and we'll pop round for a cuppa! 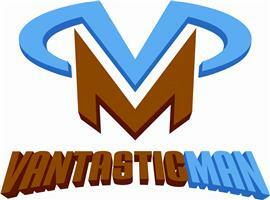 Vantastic Man provides an expert office removals service. We have lots of experience working with business professionals and understand the importance of being smart, efficient and careful with your office equipment. If you need someone reliable to pick something up or deliver it at a certain time you can rely on us. We have years of experience working with some of the UK's largest charities, financial organisations and events companies and have developed a great reputation for going the extra mile.